The latest Android version 4.3 flavor is rolling out now. Speculations regarding the refreshed Google Nexus 7 clearly unveil that the handset is ready to ship on this latest Android version. Apart from rumors, the Google has announced the next generation of the Nexus 7 tablet and also stated that the smartphone runs on Android 4.3 Jelly Bean. Reportedly, the device will be spotted with a refreshed slimmer design and brilliant HD display. The leaked Google Nexus 7 pictures clearly show that it comes with a redefined design from its predecessor. The new model will be packed in at 8.5mm thickness and weighs just 290 grams, i.e 2mm thinner and is 50 grams lighter than its predecessor. No changes with the manufacturer, this tablet is being developed by the Asus. 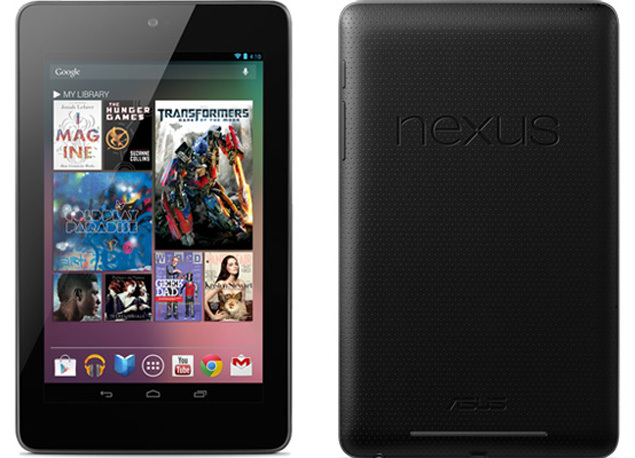 The new Google Nexus 7 features the world’s sharpest 7 inch tablet screen and packed with 323 pixels per inch. Along with vibrant video viewing, this screen also assures enormous gaming experience. You can have a great fun with favorites play tools like Prince of Persia, Asphalt 8, and Riptide GP 2 games. It comes installed with brand new Play Games app so the user can tilt, touch and tap their way to the top. The device is pre-installed with Google plat, so on this smart display, you can enjoy the world's largest collection of eBooks, listen to millions of songs and streaming radio and watch movies and TV shows. For better sound experience, the handset is powered by Fraunhofer surround sound system. As discussed it runs on the latest version of the world's most popular mobile operating system so the user can ensure great fun and higher level user experience.No confirmation regarding the Google Nexus 7 price in the country, expect its specs and features. It is seriously powered by a quad-core Qualcomm Snapdragon S4 Pro processor and 2GB of RAM which allows the applications to run faster added with high-performance. It ensures 3D graphics with the Adreno 320 GPU support. As similar to the Kindle Fire HD, this gadget also features dual stereo speakers. There is a 5-megapixel rear camera and also has a 1.2-megapixel camera at the front. It is powered by a battery which claims to deliver 9 hours of HD video playback and 10 hours of web browsing. The battery will also support wireless charging. Google mobiles claims that the device will be available in 16GB and 32GB variants. Now, the next generation Nexus 7 has been listed as ‘Coming Soon’ on India Play Store, the consumers should wait for some time for the global launch with this product google has also launched white version google nexus 4 is now available in india.